Hard Money Bankers funded this loan in White Marsh Maryland for a real estate investor who purchased an auction property. The investor needed short term capital to purchase and renovate the property. He plan to fully flip it within 90 days. 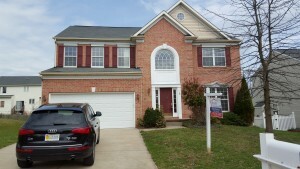 We have site a lot of auction opportunities similar to this in White Marsh and similar areas of MD, VA, DC, PA and NJ. Hard Money Bankers is available to finance these transactions. Did you find the auctioneer’s buyer premium fee?